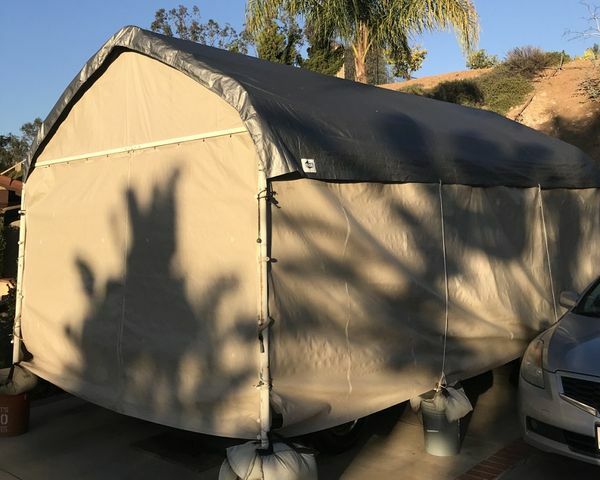 This drawstring cover by King Canopy is the perfect cover for your weather protection and shade needs. 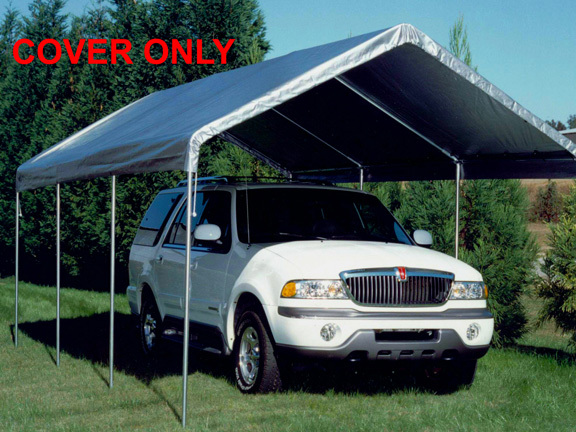 It is designed to accommodate 10' by 20' canopies, with an overhang for items that are slightly larger than 20 ft. The cover comes in silver and provides additional protection from UV rays, and the drawstring allows you to easily tighten your cover to the perfect tautness. These covers are perfect for your car, boat, trailer, or sports vehicle. How thick is this cover? These are 8 oz covers with a mil thickness of 16 -18. Thank you for your interest. How does the drawstring cover attach to the frame? I am very pleased with this product! Truly amazed I was able to fit my truck under this product!! I highly recommend this canopy, you will not be disappointed!! This item is well made and we like the idea of it being silver, as our trailer and shed are a light gray. Also, the silver doesn't show as much dirt as the white covers. Our carport is sitting in an area where there are alot of trees. This is our second purchase. Bought this in fall of 2011 to keep 3 motorcycles out of sun and rain. No problems till the winter of 2014/15. Most snow this past winter in 20+ years. Frame still solid but finally have to replace canopy this year. Would gladly recommend this kit.